On August 22nd to September 8th, the evidentiary hearings focusing on Disease and Aquaculture were held for the Cohen Commission of Inquiry into the Decline of Sockeye Salmon in the Fraser River. The hearings were also re-opened for three days in December to further examine the issue of the Infectious Salmon Anemia virus (ISAv). Anticipating the volume of information that will result from these hearings, Watershed Watch Salmon Society (a participant with standing in the inquiry and represented by Tim Leadem and Judah Harrison of Ecojustice) teamed up with the SOS Marine Conservation Foundation to provide the “Cohen Aquaculture Daily” – a daily update on the testimony presented and a bundling of the related media coverage. Witnesses included Watershed Watch’s Dr. Craig Orr who took the stand on September 6th. For the full list of witnesses for the Cohen Disease and Aquaculture hearings, read the September Watershed Watch / SOS media advisory and the December Watershed Watch media advisory. For key highlights from transcripts and evidence examined prior to August 22nd, see Watershed Watch’s Salmon Leaks series. September 2, 2011: No Cohen Aquaculture Daily post today as the Cohen Commission turns its focus back to Aboriginal Fishing issues. Check back on Tuesday, September 6, 2011 for the next update. August 26, 2011: Today, there were important developments regarding fish health records and whether they will be made public or not. 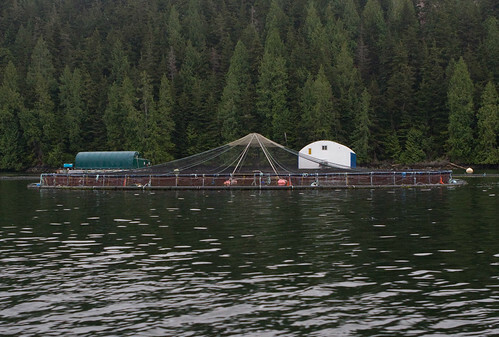 Despite the public nature of the Cohen Inquiry, the Province of British Columbia continued its objection that farmed fish health audits be made public as a Cohen Inquiry exhibit. These records, which are considered essential in determining if there was disease found in open net-pen farms, will be “non-public” until objections from the Province can be processed. The BC Salmon Farmers Association had no objection to their fish health databases being made a public exhibit. Read more . . . This morning the Commission continued with questioning the second panel of Disease witnesses. Discussion included questions about Dr. Kristi Miller’s ability to discuss her genomic sequencing research showing a mortality-related signature in Fraser River sockeye; the sampling of captive Atlantic salmon for the presence of this signature and the candidate virus; and funding for the research. This afternoon, questioning began of the first Aquaculture panel; the authors of the Technical Reports related to Project 5 “Impacts of salmon farms on Fraser River sockeye salmon”. It was explained that, atypical for the other Cohen Technical Reports, there were two overarching Project 5 reports by two separate authors because a report by any single author would evoke controversy. The report written by Dr. Don Noakes is referenced as the “Noakes Report” and the report written by Dr. Larry Dill is referenced as the “Dill Report”. August 24th, 2011: Today the Commission continued with the 2nd panel on the topic of Disease. This included testimony from Dr. Kristi Miller, Head of Molecular Genetics, DFO, whose research has been the topic of much media coverage both due to findings related to a purported viral infection in salmon as well the perspective that she has been “muzzled” and “silenced” by government. Today’s Cohen Commission hearing had the highest public attendance to date. Discussion of Dr. Miller’s genomic research included . . .
August 23rd, 2011: Questioning of the Disease witness panel continued today. This included discussion about why diseases from fish farms were not addressed in Technical Report 1 (Infectious Diseases and Potential Impacts on Survival of Fraser River Sockeye Salmon); why certain seminal papers relating to fish farm diseases were not included in this Technical Report . . .
August 22nd, 2011: Technical Reports 1: Infectious Diseases and Potential Impacts on Survival of Fraser River Sockeye Salmon and 1A: Hatchery Disease Impact Assessment were entered into evidence and cross-examination of the witnesses was conducted by the Commission Counsel, the Crown and Province of British Columbia. Read more . . .